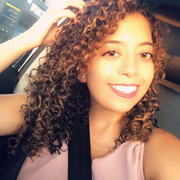 Hi All, My name is Samantha and I am currently a full-time student at NewYork Medical College pursuing my master's degree in Speech-Language Pathology. I've babysat family members, friends, and friends of friends. I am willing to help with homework, have play time and do anything else that is needed (i.e., work on speech goals). I do have experience with autistic children. I have interned at a school solely for autistic children and I volunteer at a program that teaches kids with disabilities how to play soccer. I also have experience working with children hearing impairments as well as children with IEP's. I am CPR certified and am willing to get training on any other necessary skill. Thank you for your time!